If you have some old magazines, some old newspapers, or used books that are no longer used, you should probably follow this workshop. 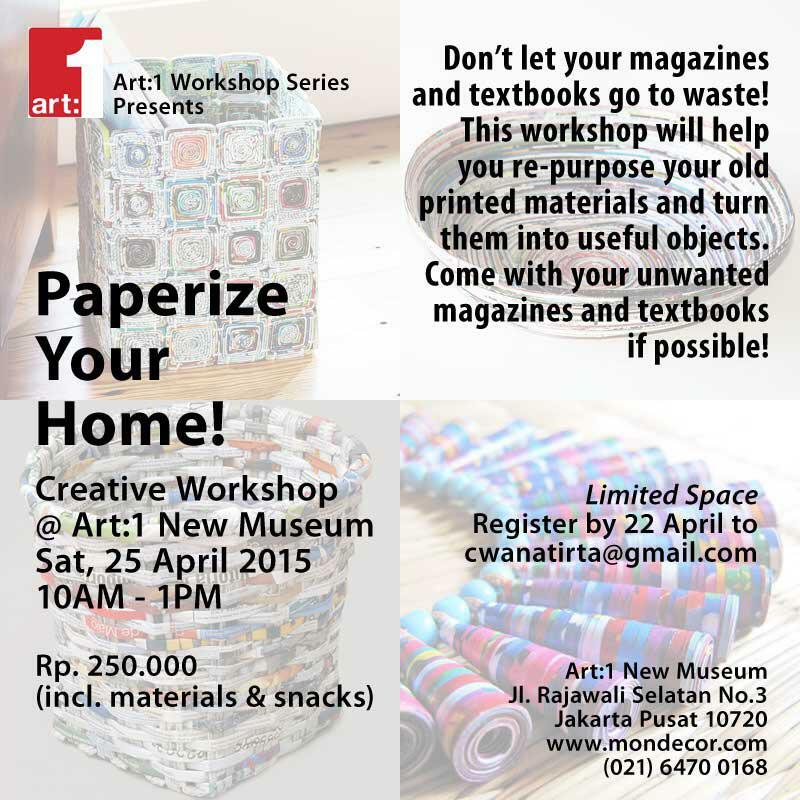 In this workshop, you will be taught about how to change your old magazines and books to become interesting and useful objects again. Interested? Please register first via email to cwanatirta@gmail.com, because it’s limited. Please remember that the entrance fee is only Rp. 250,000.